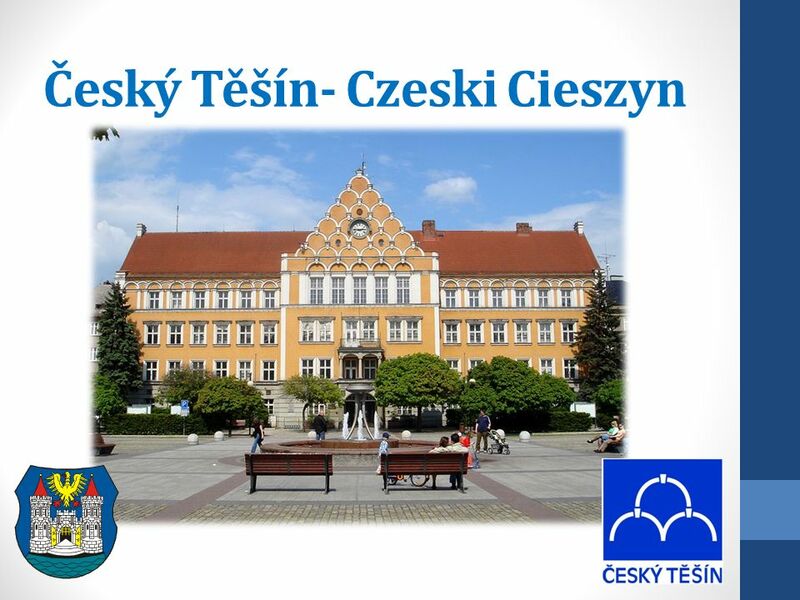 Český Těšín- Czeski Cieszyn. Basic informations Here we live Area: 33 km 2 Population: 25 750. 3 Modern history Until 1920 our town was a part of Poland, but after world war I it has been divided to Czech and Polish part. 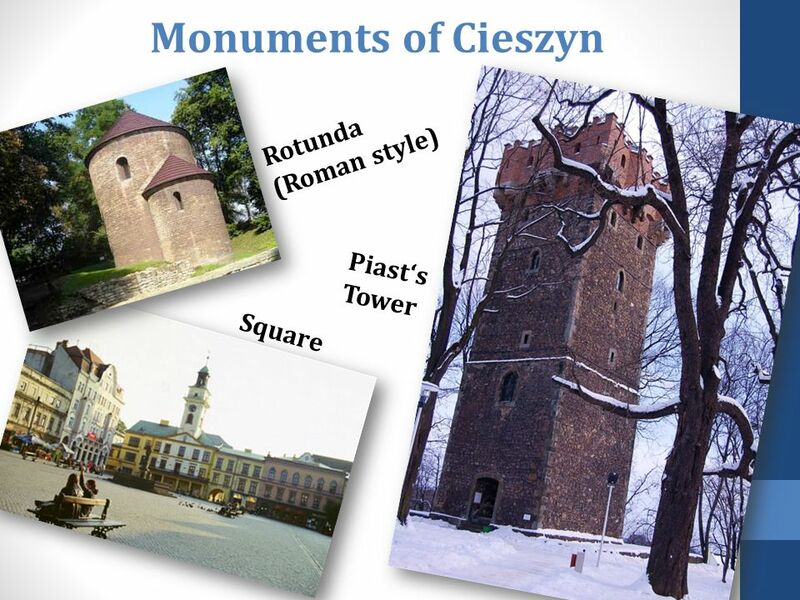 That´s why here is still a big amount of Polish minority by this side of the river Olza. 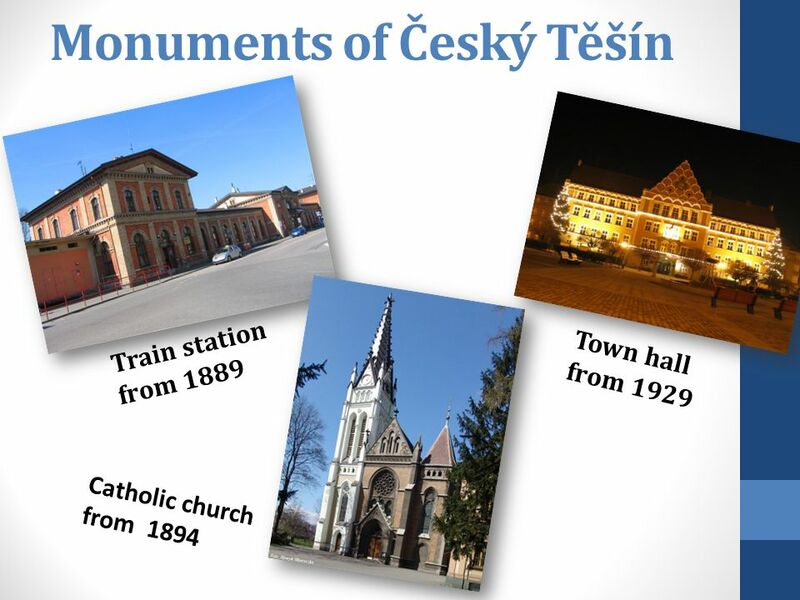 Stáhnout ppt "Český Těšín- Czeski Cieszyn. Basic informations Here we live Area: 33 km 2 Population: 25 750." Terezie Rosová MARCH MAY JUNE JUNE-SEPTEMBER SEPTEMBER OCTOBER. Jméno autora: Mgr. Mária Filipová Datum vytvoření: Číslo DUMu: VY_32_INOVACE_07_AJ_CM Ročník: 1. 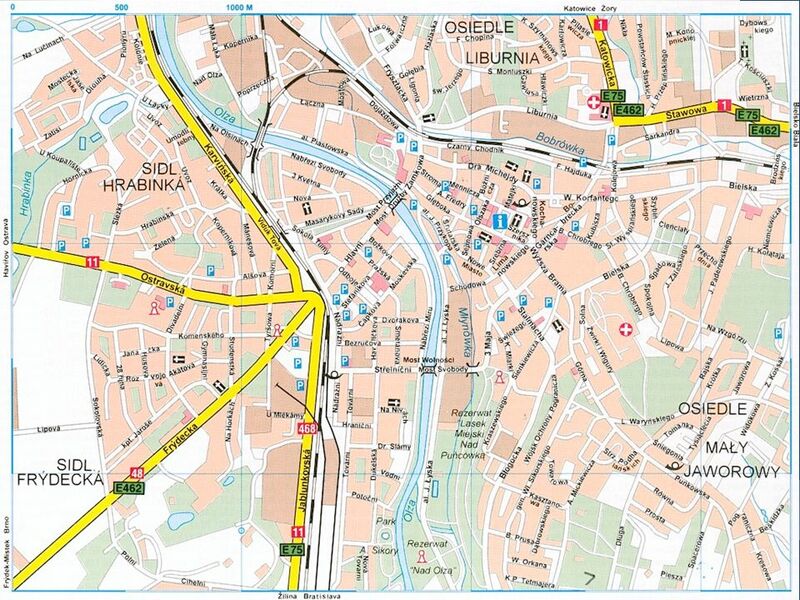 – 4. ročník Vzdělávací oblast:Jazyk a jazyková. Přítomné časy, budoucí – will, minulý čas prostý - 6. ročník Základní škola Jakuba Jana Ryby Rožmitál pod Třemšínem Efektivní výuka pro rozvoj potenciálu. A Book of My Life By Zuzana Vávrová. Filip‘s adventure Jacques Breuil French Doctor Jean Breuil Illustrator Redact of French magazine Vie. Project Tree Planting. About parcel Parcel is owned by Pěnčín village Parcel is owned by Pěnčín village Village Pěnčín is situated near Jablonec nad Nisou. 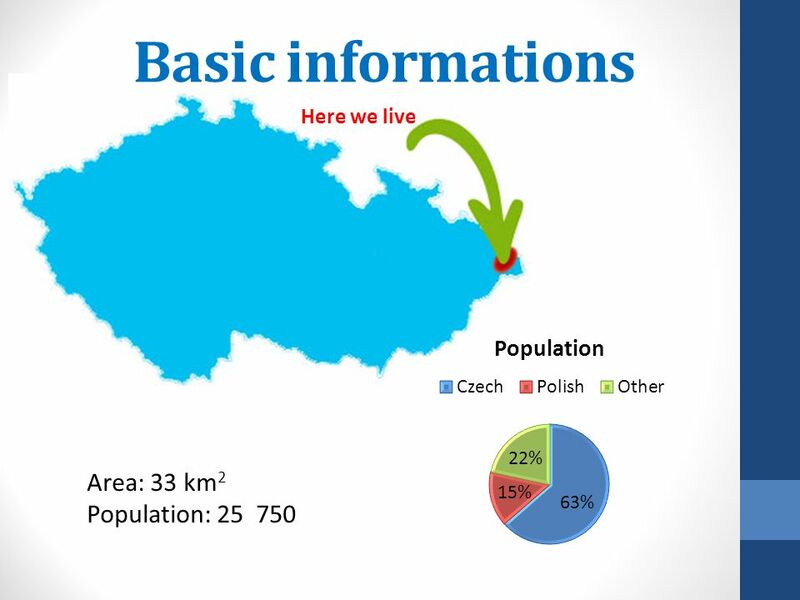 Czech Republic Its population is: inh. and surface area is Km 2. The official language is the Czech. Its capital is Prague. Czech Republic. Educational program: Mechanic - electrician Title of program: Technical training II. class Astable multivibrator Worked out: Bc. Chumchal Miroslav Projekt. Setkání uživatelů SFX Statistické reporty SFX.